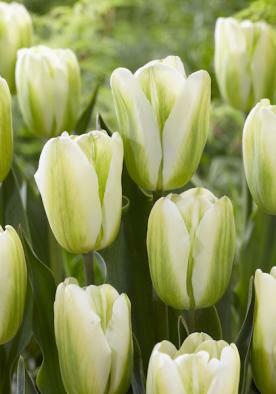 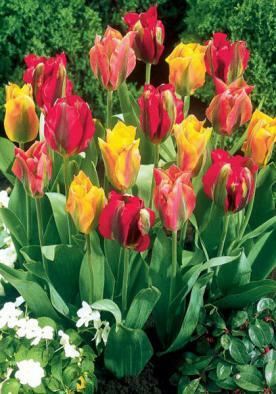 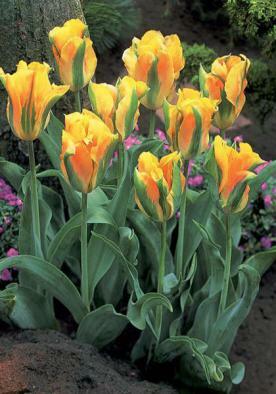 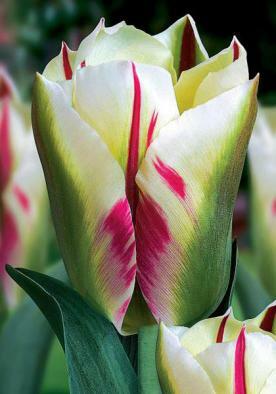 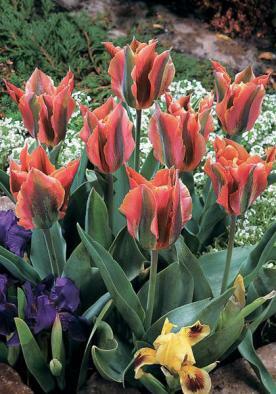 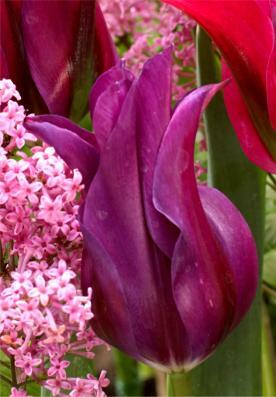 Division 7 - These quaint tulips with their peculier colouring are curiously different from the more vital coloured varieties which we have known for many years. 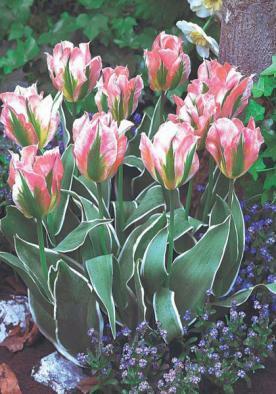 the petals of these neat growing plants vary from narrowly tapering to the broad and slightly fringed but each one has a typical leaf green blaze. 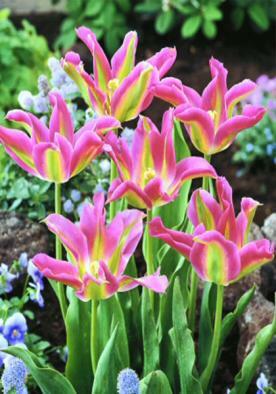 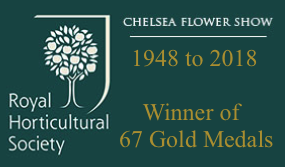 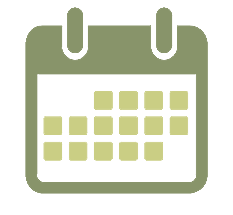 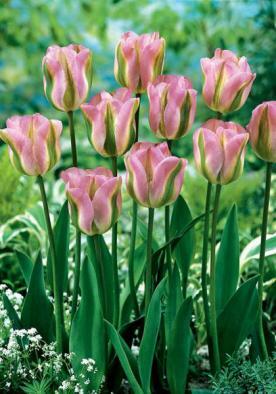 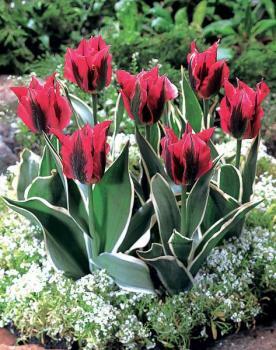 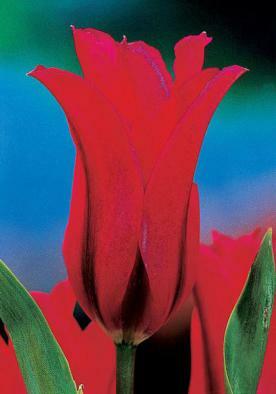 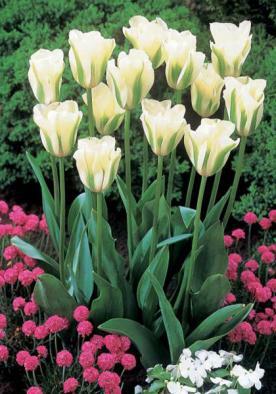 Their chief value lies in the air of dignidifed elegance they add to floral decorations, or the garden.